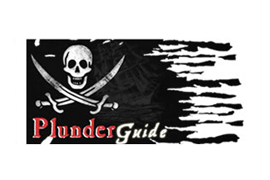 Plunder Guide is The Essential Buyer’s er… Plunderer’s Guide for Men. We scour The World, pillaging and looting, to find cool stuff that sets you apart from other scoundrels. In essence, we look for the kind of stuff that helps to improve your life, and makes it more interesting and adventurous; the kind of stuff you won’t easily find anywhere else. Part of Plunder Media.